I had taken a bit of a break from making blog posts over the holidays. Not that it mattered, but I figured there was not a big need to make new posts during the time. I did manage to write some articles and make a few posts just before, but most people reading blogs during the holidays are not looking for investigating others. It is funny how the trends of last year made some posts more popular than others. No doubt the ATG scam article was my most popular blog post in 2010. That one was basically done because of an email I received after putting my resume on careerbuilders(dot)com - no I will not link to them as they help promote these kinds of scams and do nothing to police the scammers. The second most popular in 2010 was not even a 2010 post but My Super Duper Free Links Page from 2008. The third most popular in 2010 was Catch a Cheater - part 2 . Why it is more popular than 1,3,or 4 I have no idea. As an SEO tip - you can basically buy the first position in Google search. 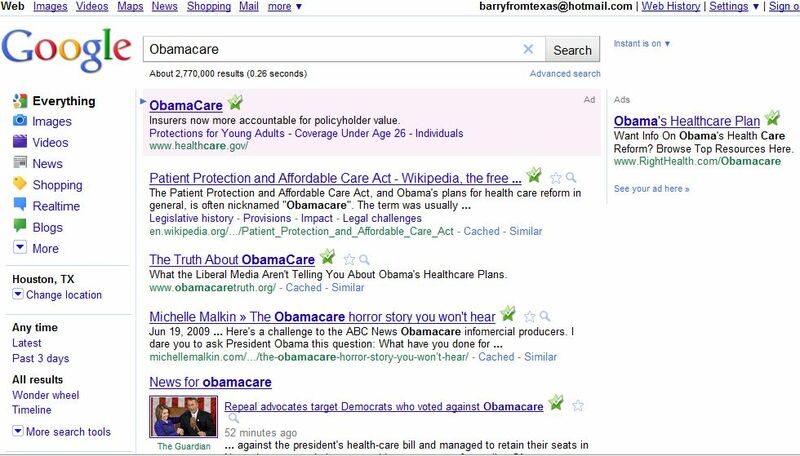 I find it interesting that the Federal Government is spending your money (mine too) to make sure that their site is first listed in Google when you search for Obamacare. Who says the government isn't already manipulating the internet? 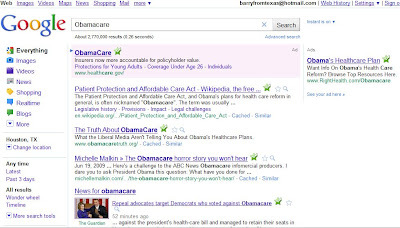 As for Google in their high and mightiness trying to give quality links - it is about money - not quality of information. See below.